Chanel Colour Change. This tired looking Chanel needed a new lease of life. After seeing many seasons wear as a white summer bag it was time for a change. The customer decided to go with the Colour Change treatment and change it to black to use as a new winter bag. Now the bag can see many more seasons use and will go with everything. Chanel Fabric Clean. Coffee stain? No problem. After this handbag had a disaster with a cup of coffee the customer thought that was it. Then she found our Handbag Spa and decided to send it in for a Fabric Clean. 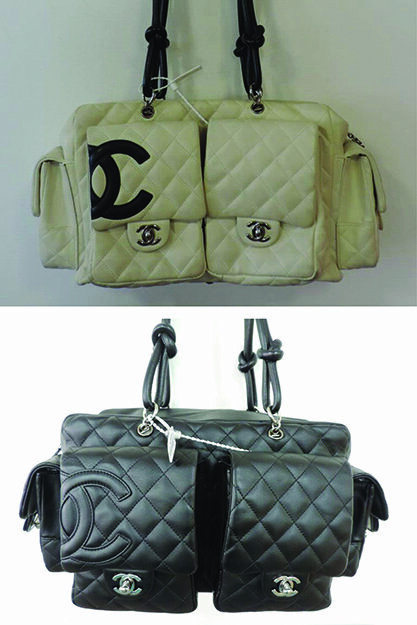 The Chanel bag was returned to the customer stain free, clean and looking great. Smiles all round. 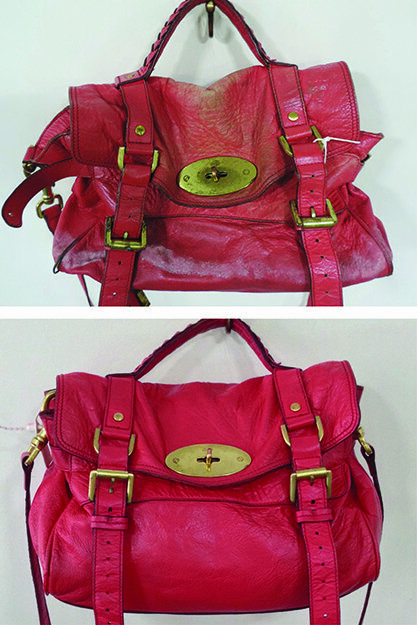 Mulberry Alexa Before and After Milan Treatment. This bag had seen a lot of wear over the years and needed a lot of attention to get it back to looking it’s best. The customer chose the Milan treatment which included a HBSpa Clean, Piping Repairs and Full Colour Restoration. 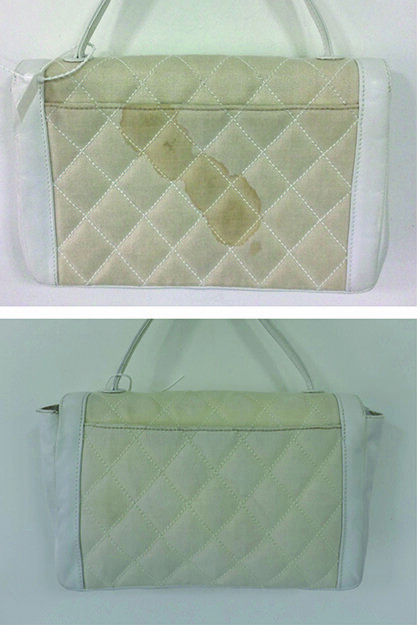 An additional Detox treatment was also carried out as the bag had suffered from pet urine stains and smells.